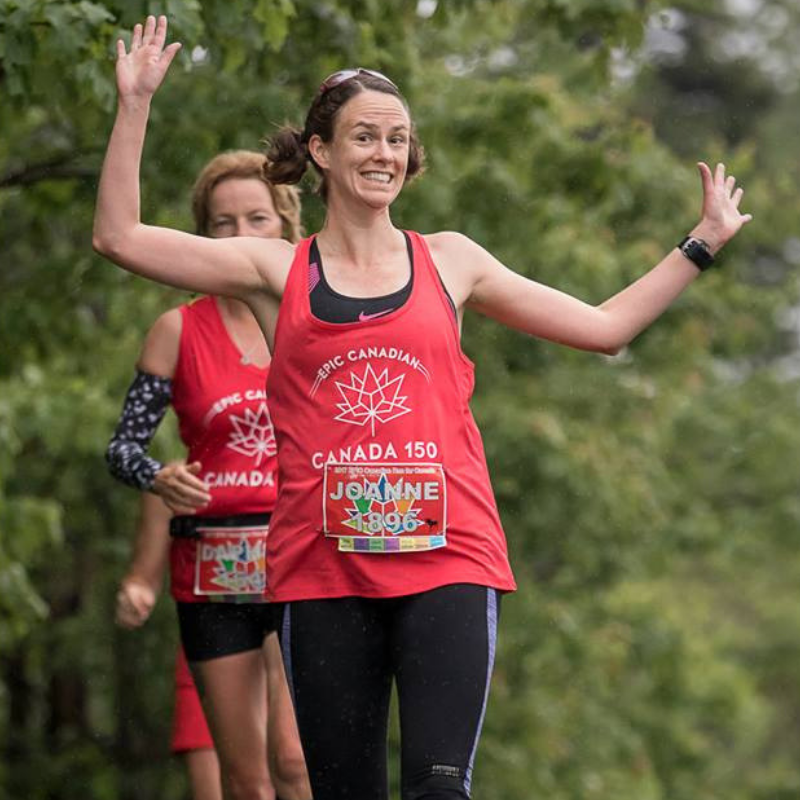 How many times have you done Epic Canadian Run For Canada? 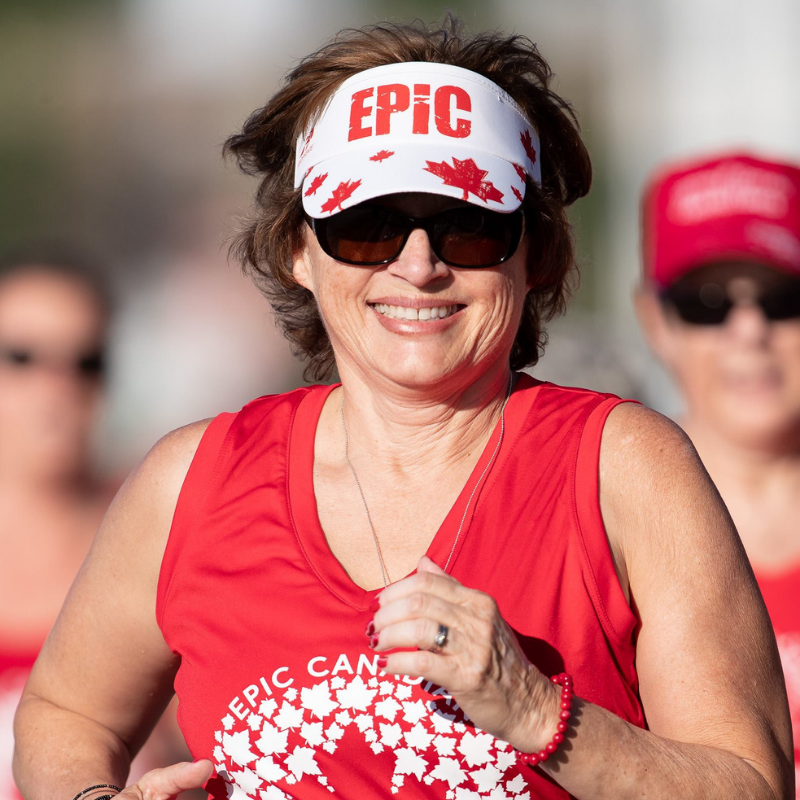 Why do you participate in Epic Canadian? 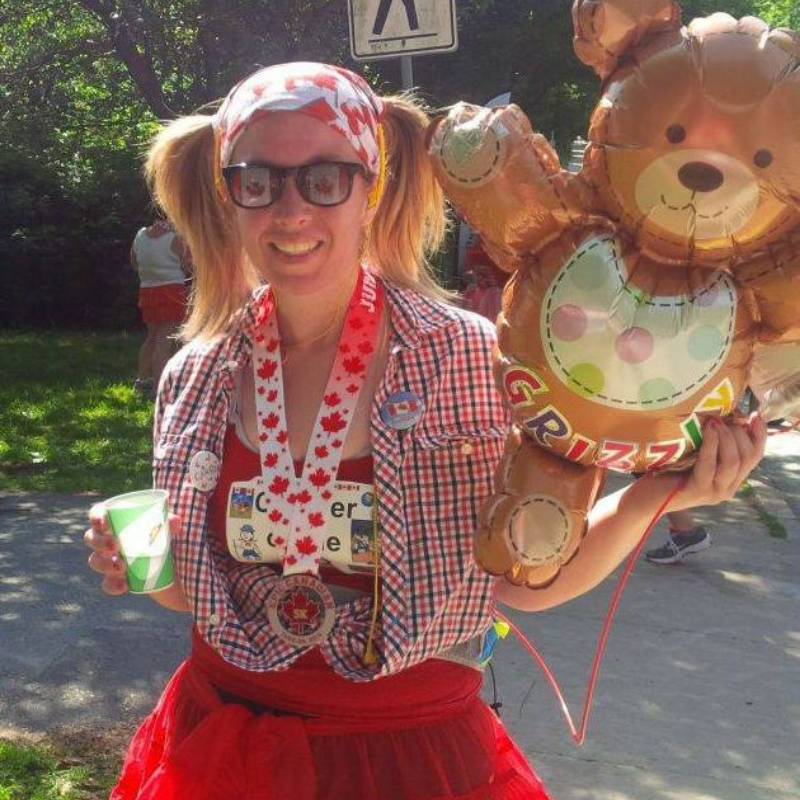 I just love the idea of celebrating Canada Day with a run. I get to celebrate with the amazing people I have met through running that I now consider friends. What is your favourite part of Epic Canadian? Now that is hard to pick lol. But meeting up with everything, getting pics with your friends and cheering on others as well as being cheered on. Amazing feeling! Who is the most Epic Canadian you know? There are many but today I want to pick Michael J Fox. Inspirational on many levels! If you could run with any person (past or present) who would it be? I would have to say Terry Fox for his amazing courage and spirit. Who do you wish you could convey an honorary Epic Canadian title upon? I would actually have to say Susan Sly. She is an amazing woman who was diagnosed with MS in her 2000 and has run the Boston Marathon 6 times! Why do you participate in Epic? The finish line. It always feels good to finish, but also there is also a huge group of people cheering on runners. Who do you wish you could convey an honourary Epic Canadian title upon? Two years 2017 and 2018. Three races 5k 2017 and 6.1k 5k 2018. 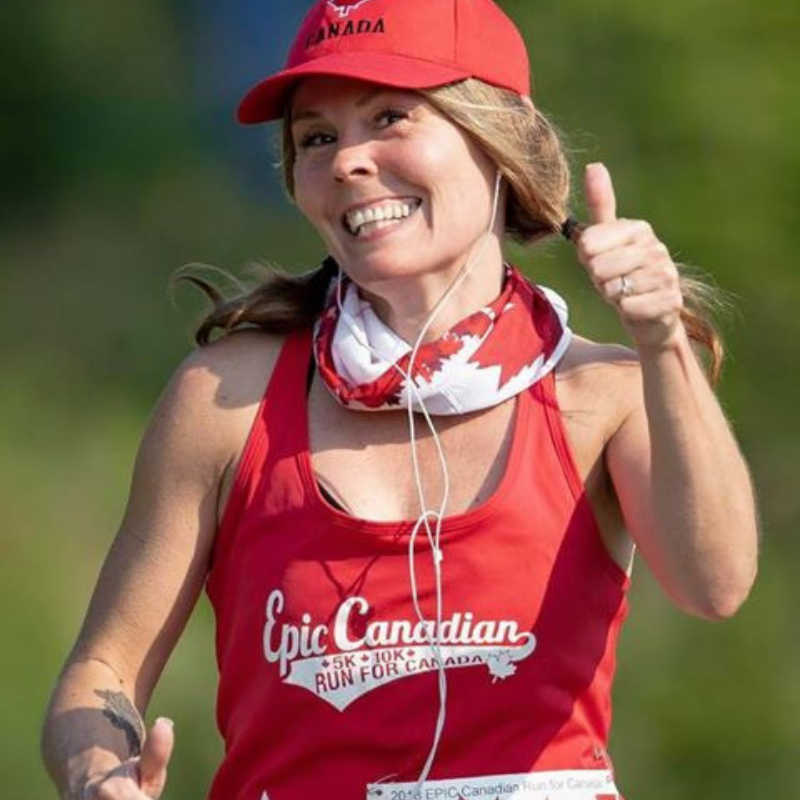 I love to participate in Epic Canadian because it is a great race, so nicely put together. The route is one of the best I have run. Everyone is so nice. 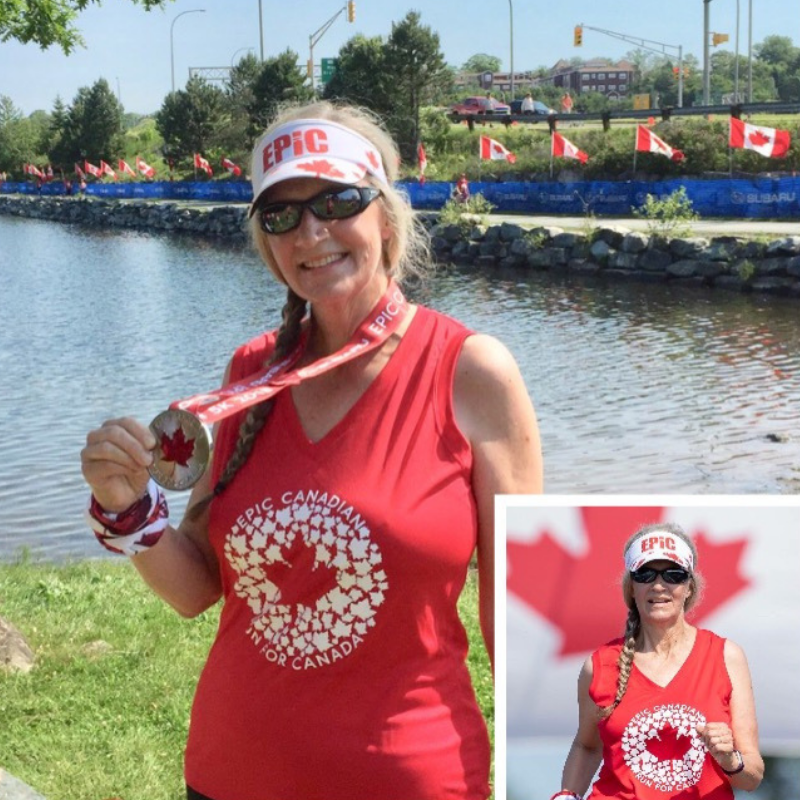 The 5k in 2017 for the Epic Canadian 150 was my very first race. What is your favorite part of Epic Canadian? My favorite part of the Epic Canadian is the multiple race choices that you have had. And the race route is my favorite!!! That’s a tough one. My friends and family are. I love running with my running friend Brittany!!! She pushes me to try and do my very best pushes me when I start to get tired or want to quit. Even though she’s faster then me and we don’t run the full race together she pushes me from start to finish. I’m not to sure about this question to be honest. 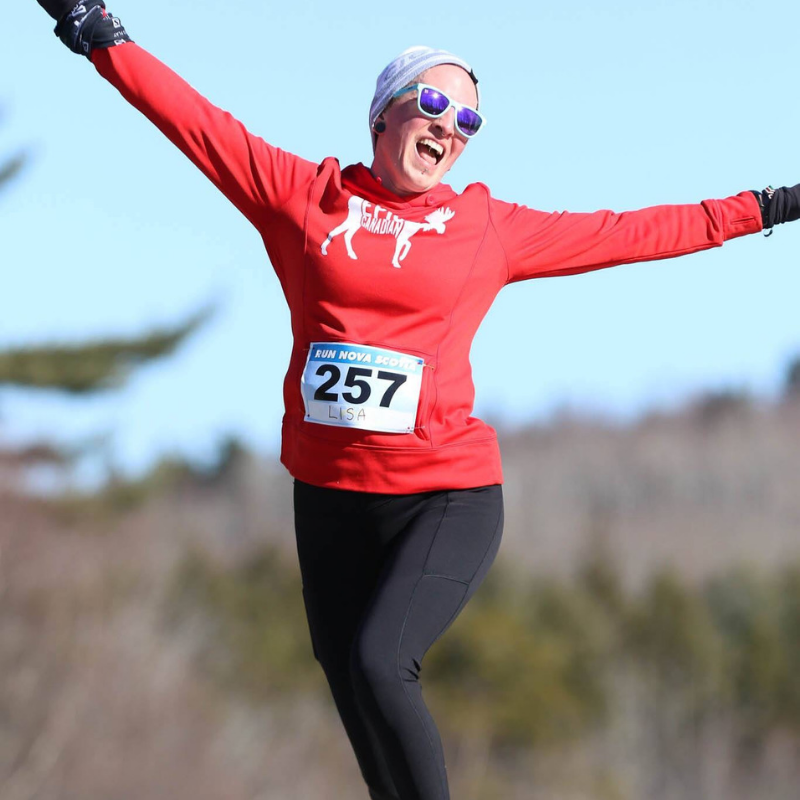 I love the event and the routes are a little challenging which is something else I love and I get to celebrate Canada’s Birthday doing what I love running. Running over the Bridge under the huge Canadian Flag and looking across the lake to see the finish line arch. Hearing the announcer calling people’s names as they are running down that final stretch. I wouldn’t say know, but have met a few times at different racing events, John Stanton. Same as above, John Stanton. years in a row. Then that is someone I feel who would deserve that honor. 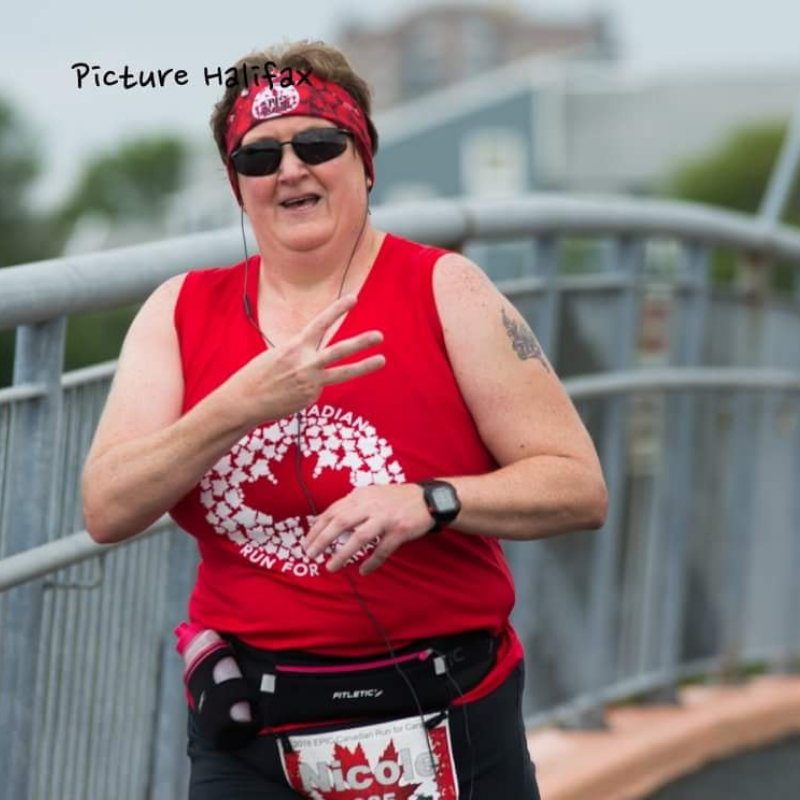 I did the Mini Moose last year and the picture with the three fingers was coming over the bridge under the flag for the 3rd and final time for the weekend. A proud accomplishment for me as I only started running in March of 2017. I look forward to getting started on April 9th. The Canadian theme, flags, and costumes! Not sure – that is a tough question! It marks the beginning of summer vacation for me. Great way to start the summer! I love the route especially through Shubie Park. My dad (RIP)….he served 27 years with the CAF and then another career for 23 years with IMP…then he fought a heroic battle against Pancreatic Cancer. ambassador with TeamMyles I went on to be a mentor for 2 years as well. is that anyone can become a runner… you just have to put one foot in front of the other and start moving. say, and got my health back. In 6 months, through nutrition coaching, personal training and running, I’ve lost 70 pounds so far and am nowhere near stopping. Needless to say, my running has improved a lot in the past 6 months. I’m a slow runner but I love just getting out there and pushing myself a little more, a little further each time. The excitement and sense of community that surround this event. And… being a girl from Dartmouth who paddled on Lake Banook for most of her childhood, I LOVE that this around the lake that holds so many fond memories for me! For me, this would be Michael J Fox! I grew up watching him on Family Ties but am continually amazed that he doesn’t seem to let his Parkinson’s Disease get her best of him as much as possible. He never gives up!! My mother. She turns 70 this year and is my idol and my hero. She recently started back at the gym and we have personal training sessions together once a week. She never gives up!! She’s not a runner but if the day ever came that she wanted to run I would be by her side the ENTIRE way. She thinks she’d slow me down but that woman has a sense of determination that makes me think she’d outrun me any day! I’ll have to come back to this one… I currently have no idea! 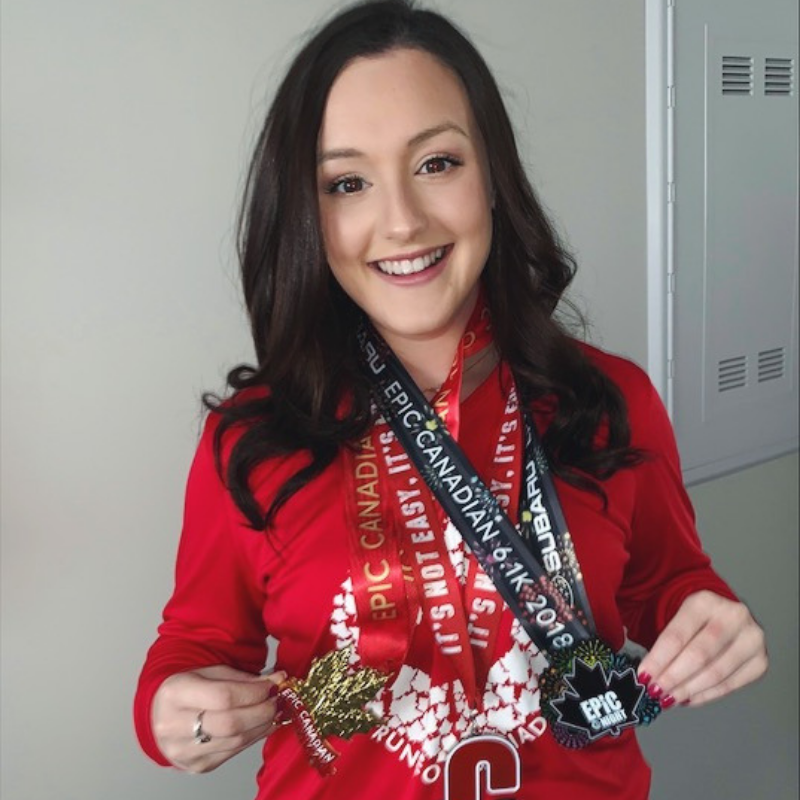 I did the 10k in 2013, the Mini Moose in 2017 (6.1, 5 and 10.5k) and the 6.1 and 5k in 2018. This year I’ll be doing the double in a day! 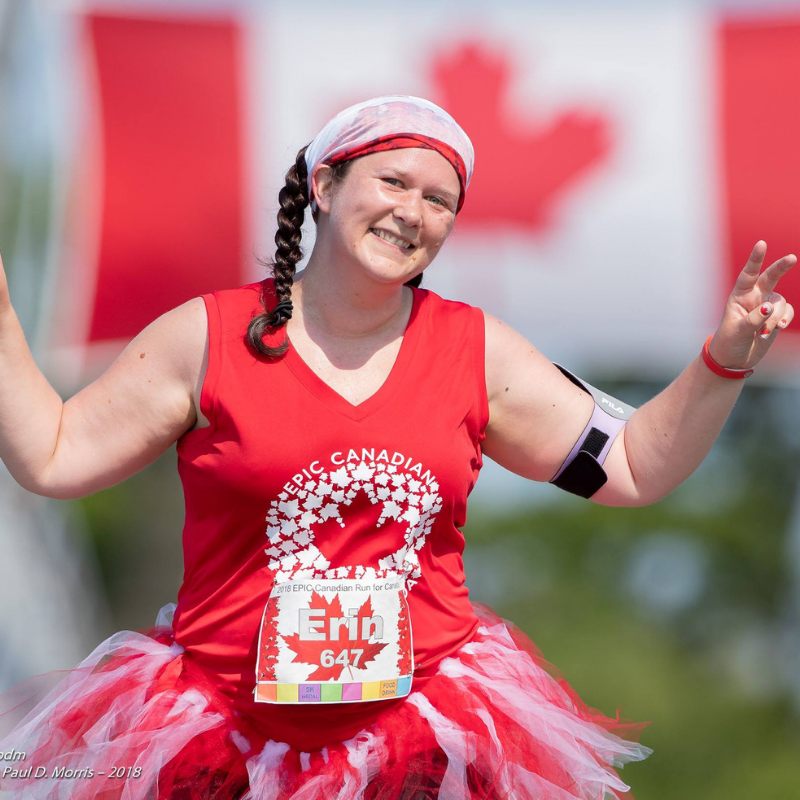 It’s a great way to celebrate Canada Day, the event is fun wth so much more to do after the run. And the bling is pretty rad. Other than the great race route, the live music and party after running is always a blast! Personally? No idea! But if we’re talking Famous Canadians I’d have to go with Chris Hadfield. A genuinely great man. Katherine Switzer. Mainly just so I could thank her for what she did for women’s running. All the women all over the world who continue to break down barriers in running! was in 2013 and I never miss them! Because I LOVE Epic. It was the first race I ever did and the feeling I got when I finished was amazing. I’ve enjoyed running with people, alone, encouraging others, volunteering in different ways, and I love sharing Epic with other people. This is my absolute favourite race, partly because it was my first, it’s got that Canadian theme, and also because of the Terry Fox connection. 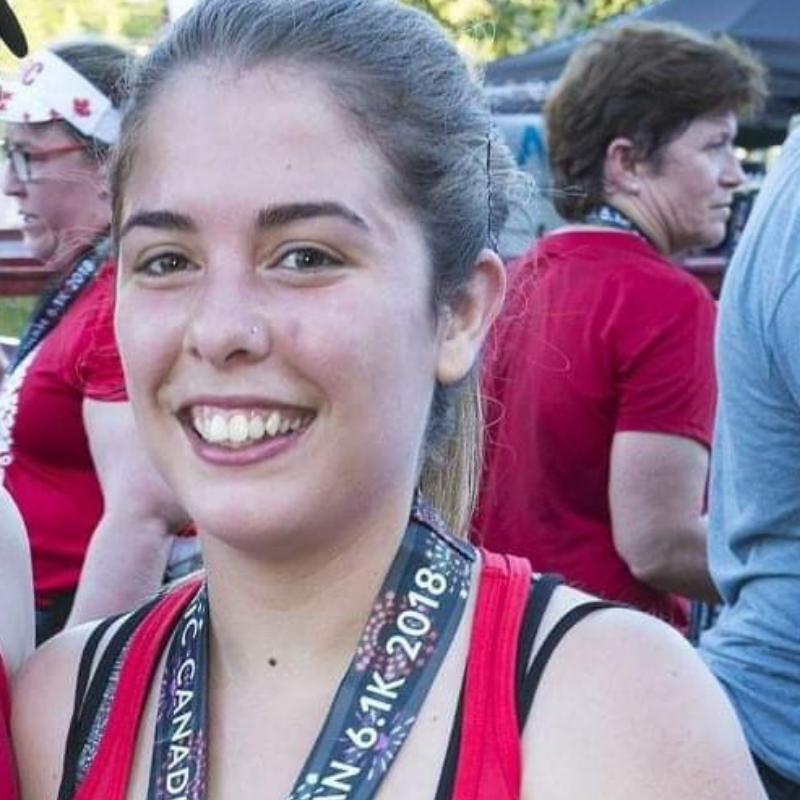 It inspired me to set myself a goal of running a race in every Province in Canada! I have participated 3 times now and I am looking forward to my 4th this year! with so many other proud Canadians! My Mom, she is the strongest person I know. 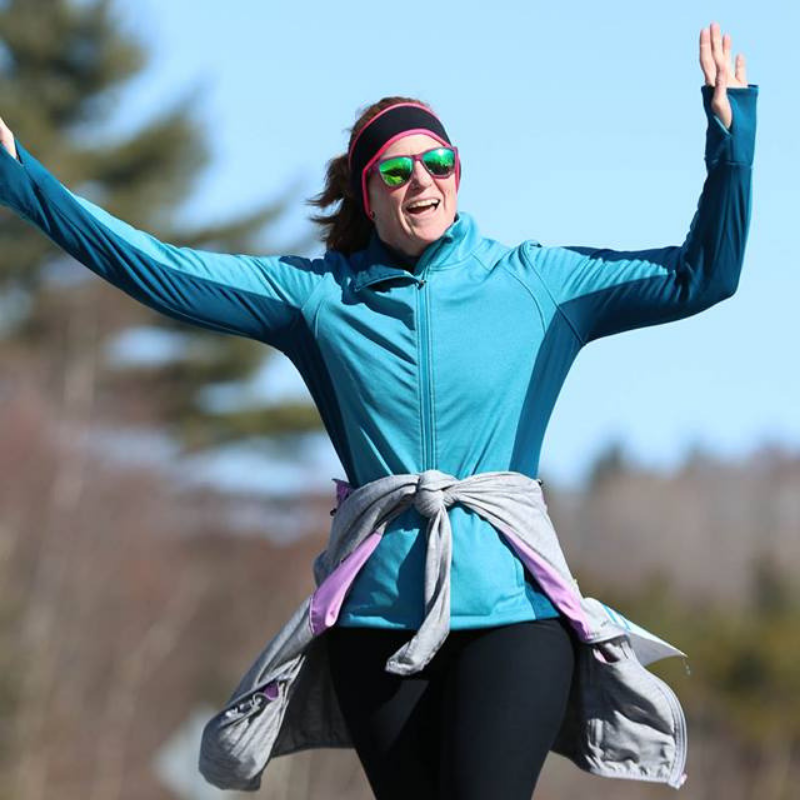 She continues to “run” one of many personal marathons with her health. Her strong will, determination, faith and pride carry her through. She is my biggest cheerleader, and I am hers. My Mother, Joan Oickle, would be my honorary Epic Canadian. The Epic Canadian was my second run ever and my first run after moving to NS. I always look forward to this run, even if the hill part is hard for me. There is always a ton of energy, excitement and encouragement on the route. Coming around the bend at the end of the race and pushing myself to the finish line! Terry Fox – he’s always been an inspiration since I was a kid. race with me once before, but she won’t be able to run this year due to medical reasons. She has been a huge support in my life and has always inspired me to do and be better in all things at life. 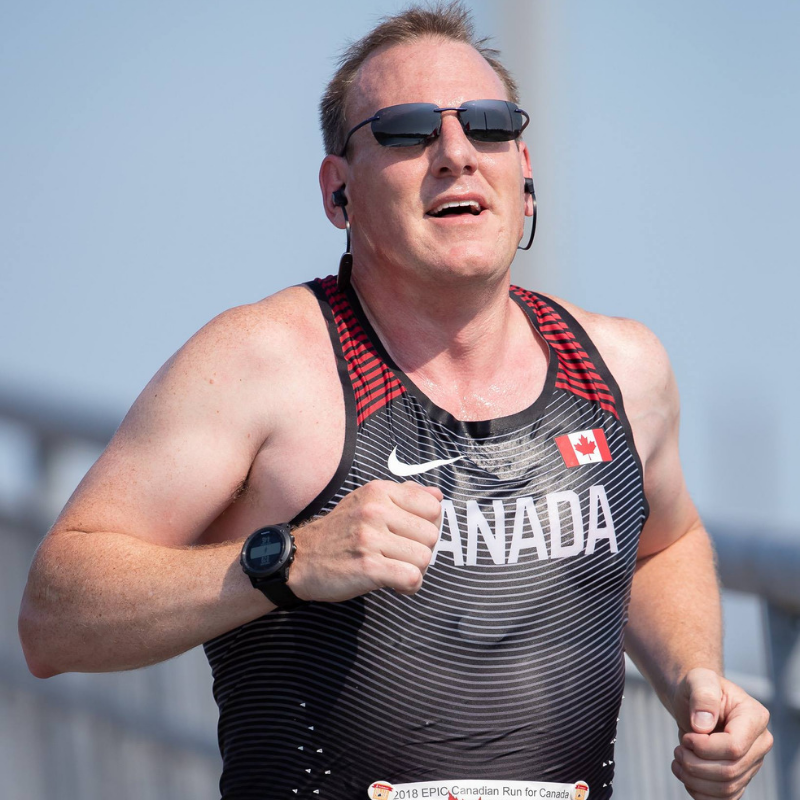 Epic Canadian 2018 (6.1K and 10K) My favorite race distance is a tie between 5K and half marathon. A year ago my Canada Day would’ve been spent in a much less productive way. I love the push to get active and run on a holiday. I love to run, I love to encourage others to run. I love medals and I love fun! So basically, all that Epic is.